Libby Butler has over 15 years experience in facilitation, coaching and training, with particular expertise in conducting community engagement/visioning projects, facilitation networks, and supporting government and non-government agencies and individuals to achieve their goals. 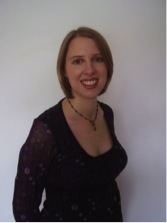 Libby has been thoroughly committed to her own personal development journey for most of her life, and started her professional development and life coaching business (Symbiosis) in 2006 after completing her Master Practitioner and Trainers Training in NLP (Neuro-Linguistic Programming). In February 2008, Libby became a qualified coach with Beyond Success, and has coached a wide variety of clients including small business owners, stay-at-home mums, young professionals and executive level staff in the corporate environment. After meeting Roger Hamilton (Creator of Wealth Dynamics & Talent Dynamics) in early 2007, Libby became a founding member of XL Nation – a global social entrepreneur’s network – and has diligently studied the Wealth Dynamics philosophy and principles ever since. Now an accredited Talent Dynamics Performance Consultant, Libby is very excited to be able to utilise this incredible body of work to assist people to gain greater levels of personal awareness, share their unique gifts with the world, create high performing teams, and achieve inspiring results at all levels of an organisation. Libby also holds a Bachelor of Arts in Leisure Management (Community Cultural Development major) and a Certificate IV in Training and Assessment.